What is the best tablet for your classroom? In a number of schools across the country, tablets are becoming an integral part of the learning process. These technological devices engage students and give them access to answers they need right at their fingertips. Plus, for better or worse, the world we live in is highly centered around technology, so it's worthwhile to show kids the best way to use these tools to their advantage. That said, once you've decided you want your students to have tablets, how do you determine which tablet is right for your classroom? There are a wide variety of brands, sizes, prices and capabilities when you scan the available inventory, and that can be overwhelming. The best way to begin the process is simply to think about what you need from the tablets. For what purpose will you be using them, and how? 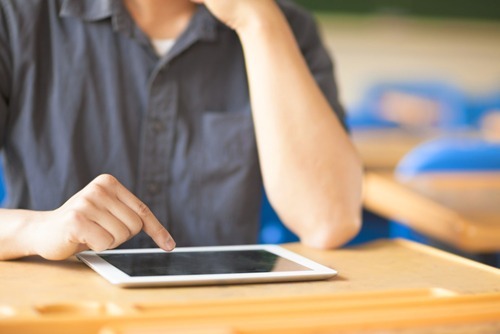 For instance, tablets can allow teachers to monitor their students' work via their computers, or they can be used solely to enhance the learning process with access to the Internet. But whatever your intended usage, one thing is for sure: These tablets need to be durable. Apple iPad 2: This device tops most lists out there. First of all, it's affordable considering its capabilities. Thanks to the introduction of the iPad 3, its price has gone down. Plus, it's lightweight, which makes it easy to transport to and from school. And the capabilities? The selection of education apps for the iPad 2 is vast. Samsung Galaxy Tab: There are many iterations of this tablet - the Tab 3, the 10.1 - but they all have positive reviews in common. Like the Apple iPad 2, this device is light enough to carry at school and has access to a plethora of education apps. One of the Galaxy's defining features is its superior-quality screen, which may put it above the others. It's also prime for multi-tasking, which will undoubtedly happen at school. Google Nexus 7: Google created this tablet with the intent of making it thinner, faster and lighter. In general, the company is keeping its finger on the pulse of the educational tablet world, meaning it will soon expand its education products, including introducing a Google Play for Education store.